Locating in a rural area has many low-cost and safety benefits. But as the world evolves, our expectations on baseline utilities increases because of our economic market links. 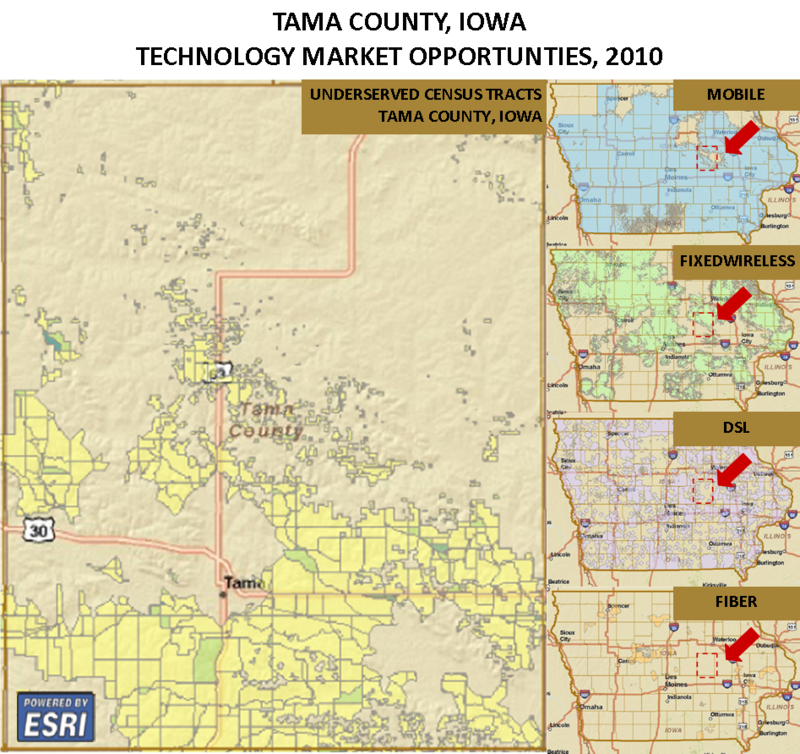 In Tama County growing rural business leaders with national clients communicate challenges that low quality technology hindering their ability to address updates and changes in real-time. Hazard mitigation leaders are concerned about security vulnerabilities due to lack of cell phone reception. Laid off workers in rural areas experience uncommon barriers in long distance continuing education and connecting to workforce development resources. Overlooking rural technology needs is a costly barrier to economic development for both the rural and metro populations that depends on healthy rural economies.